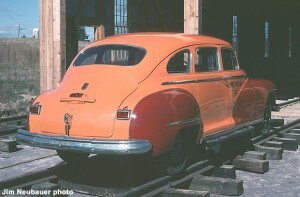 This 1947 Dodge 4-door sedan was equipped with special wheels that rode on the tracks. It was used by Milwaukee Road officials to travel along the railroad. This car is a precursor to today’s “highrail” pickup truck, widely used by American railroads. It was retired in 1961 and purchased by Mid-Continent. 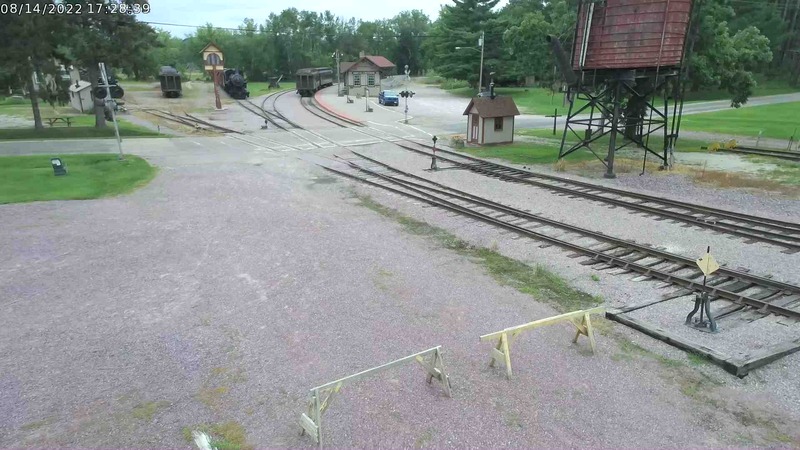 It was moved to Hillsboro, Wisconsin for the museum’s first season there in 1962. It came to North Freedom in 1963 when Mid-Continent moved to its present location. In the 1970’s it was restored and painted in Milwaukee Road’s orange and maroon colors by the Seabees. For many years the inspection car was on display on a short piece of track near near the depot. 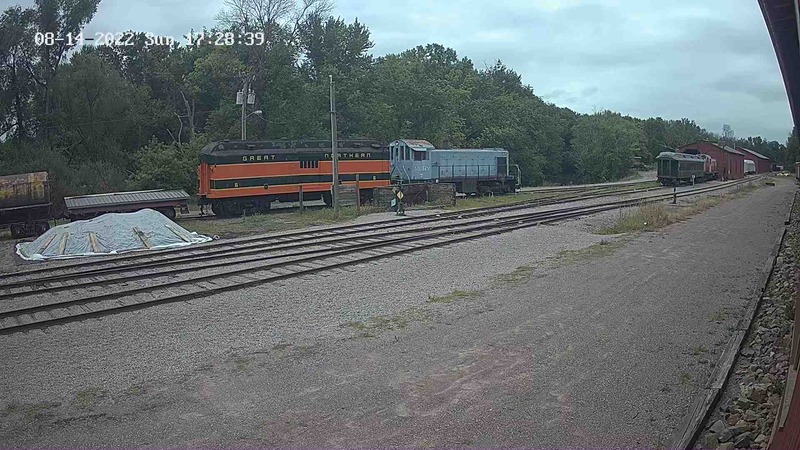 The car was sold on May 26, 2014 to the Illinois Railway Museum in Union, IL.